We care for trees and do everything possible to retain a tree when we feel its appropriate, but we also understand that trees in domestic and commercial settings need management and sometimes removal. We offer our experience and professional advice to customers to help come to agreement as to the best course of action to take for both customer and tree. We also understand that clients can have emotional and sentimental attachments to trees that are exceptionally special to them and we are more than happy to spend a bit more time discussing exactly what we can provide that is best for both tree and customer so that a tree can flourish for years to come. We are always more than happy to give our free advice regarding the care of your trees and can advise on the most appropriate action to take whether it be a reduction in size, to allowing more light or even to complete removal. We can offer our advice on pests and diseases, planning and planting, veteran trees, management plans and pruning for health. Our Tree Surgeons are fully trained, fully insured and experienced giving us the ability to undertake the work in a safe and efficient manner. 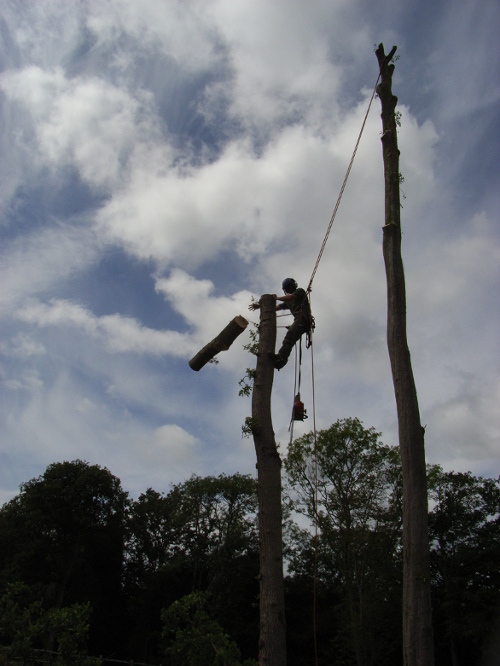 Tree surgery can be dangerous work and we strongly advise against people doing it themselves as there are many varied risks. Our approach is safe but efficient and we continually please customers with our exceptional safety record and work standard. Trimming or felling trees generates an enormous amount of waste. We remove all waste from site and are licenced by the local authority to dispose of it in a sustainable way. 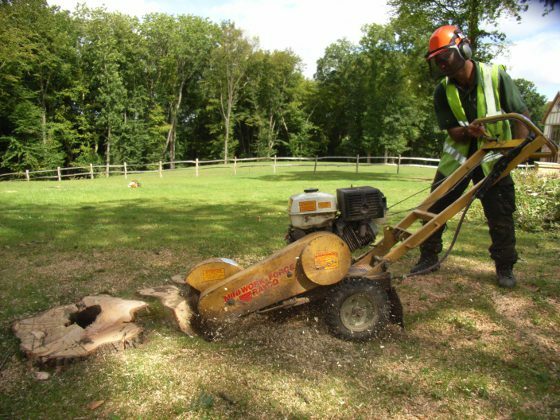 We also offer the service to remove the stump with our Stump grinder, where needed, for reasons such as grassing the area, unsightly stump and even for reducing spread of ground spreading fungi.